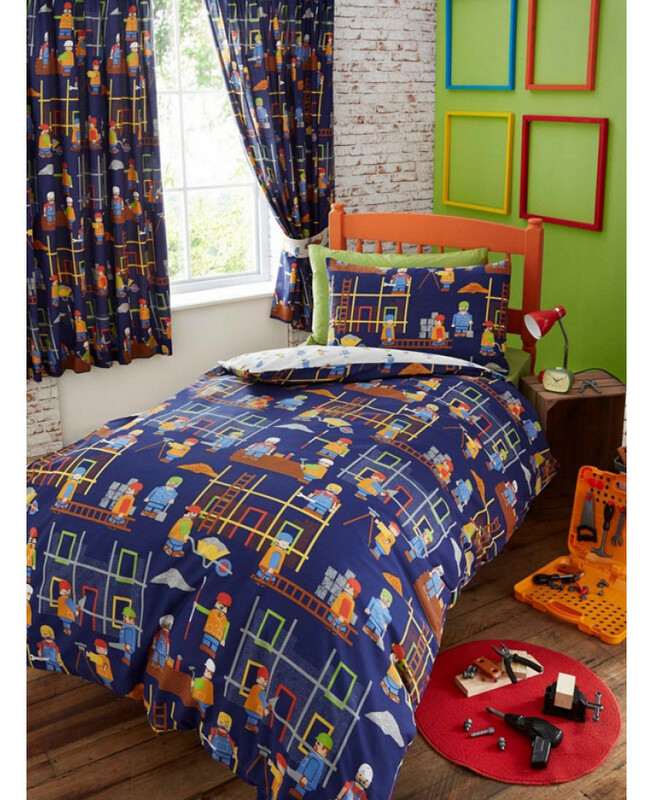 Constructions fans will love this Building Site junior duvet cover and pillowcase set. The design features builders hard at work on the building site set against a dark blue background. This bedding set is made from a polycotton blend and is suitable for machine washing and tumble drying on a low setting.